A wheel brake consists of two brake shoes and when the brake mechanism is activated, the shoes are pushed apart, which causes the lining surface to be pressed against the rotating brake drum, and the friction then results in a braking effect. This means the brake lining wears and becomes thinner and thinner. This means you need to adjust the brakes at regular intervals to prevent impaired braking effect. It is a good idea to check the brakes annually: adjust the brakes, lubricate bearings and other moving parts. 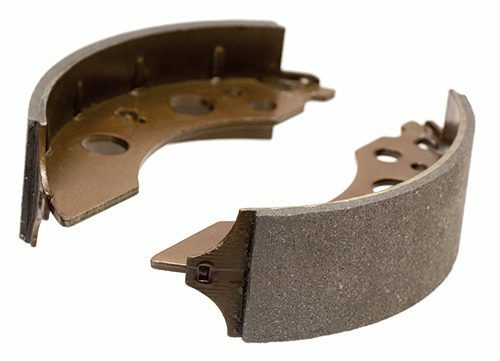 What do the brake shoes look like, are there signs of uneven wear? When the brake lining has worn so much that there is less than 2 mm remaining, you must replace the brake shoes. How often you need to change the brake shoes depends on how much you use the trailer, but also the weight of the loads you carry. Valeryd has its own production of brake shoes that fit all the major makes: AL-KO, BPW and Knott.